HEARD ISLAND, an improbably remote speck in the far Southern Ocean, lies four thousand kilometres to the south-west of Australia—with Antarctica its nearest continent. By 1964 it had been the object of a number of expeditions, but none reaching the summit of its 9000-foot volcanic peak ‘Big Ben’. In that year Warwick Deacock resolved to rectify this omission, and as-sembled a party of nine with impressive credentials embracing mountaineering, exploration, science and medicine, plus his own organisation and leadership skills as a former Major in the British Army. But first they had to get there. Heard had no airstrip and was on no steamer route; the only way was by sea in their own vessel. Approached from Australia, the island lay in the teeth of the prevailing westerlies of the ‘Roar-ing Forties’and ‘Furious Fifties’. One name, only, came to mind as the skipper to navigate them safely to their destination, and safely home—the veteran mountaineer turned high-latitude sailor H. W. ‘Bill’ Tilman, already renowned for his ‘sailing to climb’ expeditions to Patagonia, Greenland and Arctic Canada, and the sub-Antarctic archipelagos of Crozet and Kerguelen, to the north-west of Heard Island. He readily ‘signed on’ to Warwick Deacock’s team of proven individuals and their well-found sailing vessel Patanela. 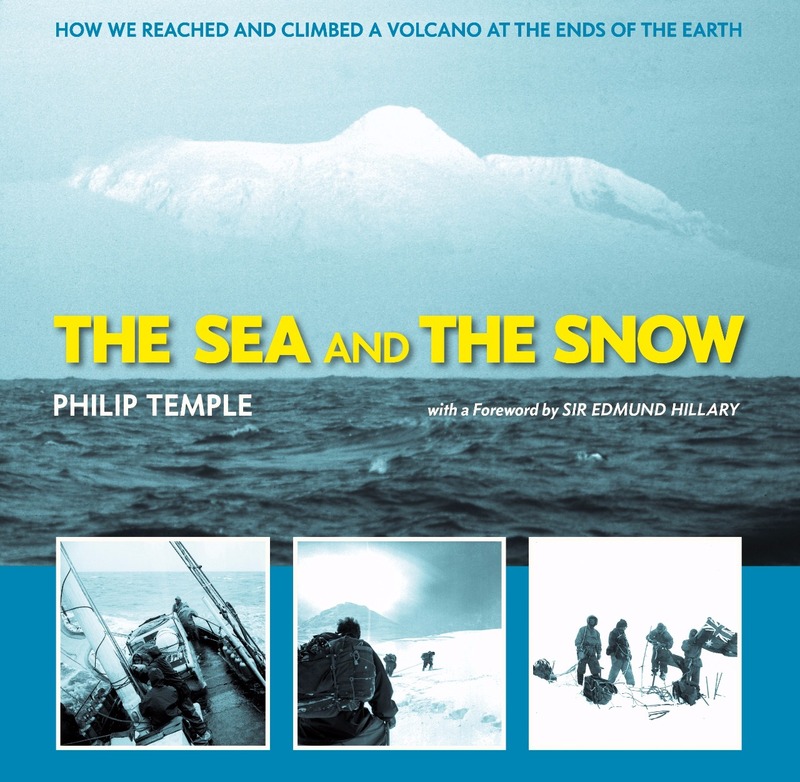 In this first-hand account, as fresh today as on its first publication fifty years ago, Philip Temple invites us all on this superbly conducted, happy and successful expedition, aided by many previously unpublished photographs by Warwick Deacock. ‘The Skipper’—a man not free with his praise—described the enterprise as ‘a complete thing’. PHILIP TEMPLE was born in Yorkshire in 1939, educated in London, and emigrated to New Zealand in 1957. Prior to this expedition he had climbed extensively in New Zealand and West New Guinea. Since 1972 he has followed a career as an author of both fiction and non-fiction, often writing books about mountains and exploration. He was made an Officer of the New Zealand Order of Merit in 2005 for ‘services to literature’ and gained a LittD degree in 2007. He lives in Dunedin, New Zealand. 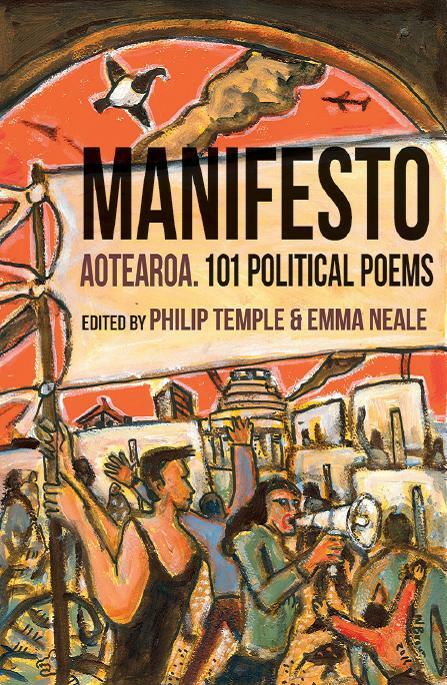 Explosive new poems for election year from David Eggleton, Cilla McQueen, Vincent O’Sullivan, Tusiata Avia, Frankie McMillan, Brian Turner, Paula Green, Ian Wedde, Vaughan Rapatahana, Ria Masae, Peter Bland, Louise Wallace, Bernadette Hall, Airini Beautrais and 84 others… A poem is a vote. It chooses freedom of imagination, freedom of critical thought, freedom of speech. A collection of political poems in its very essence argues for the power of the democratic voice. Here New Zealand poets from diverse cultures, young and old, new and seasoned, from the Bay of Islands to Bluff, rally for justice on everything from a degraded environment to systemically embedded poverty; from the long, painful legacy of colonialism to explosive issues of sexual consent. Communally these writers show that political poems can be the most vivid and eloquent calls for empathy, for action and revolution, even for a simple calling to account. American poet Mark Leidner tweeted in mid-2016 that ‘A vote is a prayer with no poetry’. Here, then, are 101 secular prayers to take to the ballot box in an election year. But we think this book will continue to express the nation’s hopes every political cycle: the hope for equality and justice. Two small but potent words. 101 potent poems. Stand up, write back!